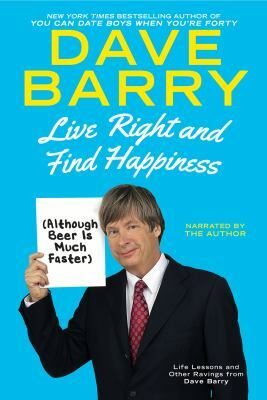 Live Right and Find Happiness (Although Beer is Much Faster) is read by the author, Dave Barry. I used to read Dave Barry’s column in the newspaper and I always imagined as being this goofy guy with a squeaky voice. I was pleasantly surprised at how nice his voice is to listen to. This audiobook is three and a half hours long, so it is great to listen to for a short road trip or on your daily commute. 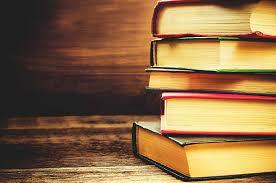 The book is full of different stories and musings by Barry that are easy to listen to and enjoy. My favorite story in this book would have to be repairing things in your house. Barry talks about how going to a hardware store is the most depressing experience. Unlike commercials for Home Depot, people are not smiling and excited about the projects that they are going to do. They walk around the store terrified and unsure of what to do. And, no one is able to go home and magically transform their house in thirty seconds, looking proud and satisfied. Instead, normal people have to hire contractors. And contractors bring their headaches, even to a writer who works from home. Live Right and Find Happiness (Although Beer is Much Faster) is full of humorous stories from Dave Barry’s life. He discusses travelling to Brazil for the World Cup of soccer with his wife and daughter. It turns out that the tour guide books lied; not every person in Brazil will try to rob you. Barry talks about his childhood, growing up in the “Mad Men” era, watching his parents have cocktail parties and then how his generation turned out to be hover parents. Barry even has a pair of Google Glass and he talks about how ridiculous he looks wearing it. These are just a few examples of the stories that are in Live Right and Find Happiness (Although Beer is Much Faster). Barry will have you laughing out loud with his relatable yet ridiculous stories.